A well-equipped kitchen with a refrigerator, dishwasher, oven and stove. 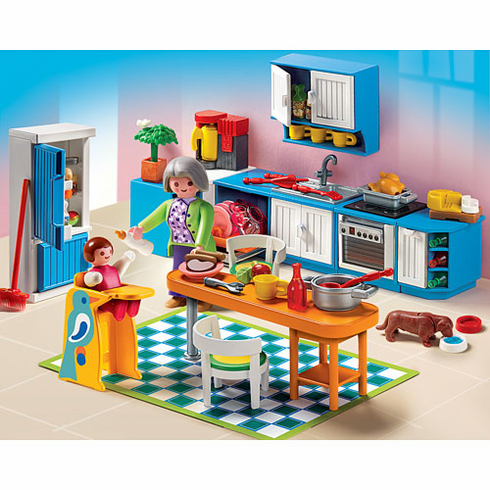 The set also includes an adult and baby figures, high chair, dog and bowl, a table, chairs, and more! Play with this set on its own, or use it to furnish the Playmobil Large Grand Mansion.